We decree and declare you, who are called of God, are Abraham’s SEED and are heirs of God’s PROMISE to him. God is SOVEREIGN and CALLS those who He CHOOSES; before you were born, before you did anything good or bad, God had a SOVEREIGN PLAN and DESTINY for your life. 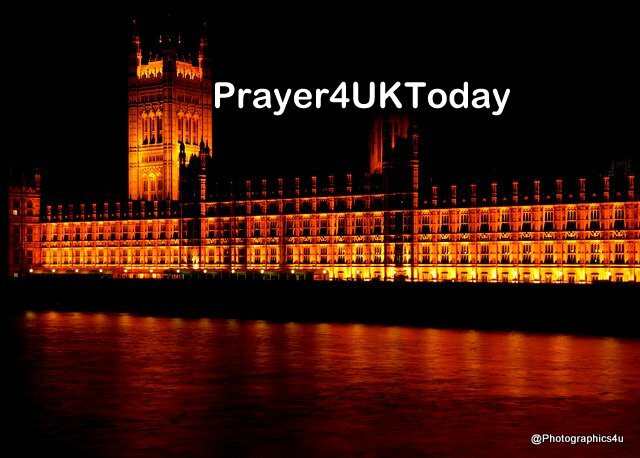 We praise and thank You Father God that You chose Theresa May, Dominic Raab and all those working hard to get the right Brexit deal. We decree and declare that the Brexit Team will be filled with the DEPTH of the RICHES and the WISDOM and KNOWLEDGE of God that is beyond our knowing. His JUDGMENTS are INSCRUTABLE, His Ways are UNSEARCHABLE! No one has known the mind of the Lord, nor been His counsellor. One of the times I felt weakest in my life was when I had two babies and my husband was in Afghanistan. Sleepless nights and non-stop days left me feeling broken, physically and emotionally. Strangely, it was a time punctuated by happy moments. A postman promising to get my Christmas present to Afghanistan when I stood crying at the till, the children unwrapping Sellotape by my feet. A nanny scooping the children up for a day at her farm. A rat-catcher making it his mission to expel the rats from our garden. The same Bible verse appeared repeatedly. During that time, God showed me that his grace is sufficient, sending rays of peace and hope to shine through the clouds.